will the executives of the other big oil companies throw BP under the bus? Is it fair to ask since BP has dragged the entire industry under the wheels of the Obama Administration? …U.S. lawmakers will ask Lamar McKay why BP made repeated choices that appeared to favor cost savings over safety before its rig blew up in the Gulf of Mexico…. …McKay, the head of BP America, will be surrounded at the congressional hearings by executives from Exxon Mobil, Chevron, ConocoPhillips and Royal Dutch Shell seeking to stave off repercussions for the industry.McKay’s rivals are likely to hang him out to dry in a rush to prove their companies would never take such risks or face such failures as the spill that has poured millions of gallons of oil into the Gulf of Mexico. “This incident represents a dramatic departure from the industry norm in deepwater drilling,” Exxon Mobil Chairman and Chief Executive Rex Tillerson said in prepared testimony…. June 15, 2010. Tags: BP Hearings, BP kills Aquaman, BP oil spill, Chevron, Congressional Hearings, ConocoPhillips, Energy Policy, Exxon Mobil, Gulf Coast oil spill disaster, Obama Energy Policy, Oil executive hearings on the Hill, Royal Dutch Shell. Economy, Obama Administration, Politics, Taxes, Unemployment Statistics, Wall St. Comments off. Gulf Spill continues – 40 Days and 40 Nights – why isn’t Obama building the barriers Jindall wants? God Bless the Gulf Coast. Someone send for Noah. 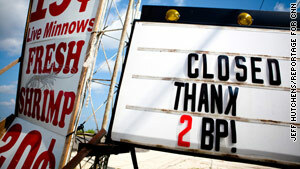 The oil continues to flow into the Gulf unabated and Obama still has BP ‘in charge’. Someone wake Darryl Issa up and let him know there is SERIOUS SHXT going on we need addressed. …Top Kill” fix failed — sending officials scrambling back to the drawing board. Gee if only these MORONS had executed the actual drilling as well we would not be here would we? frakkin idiots. BP will now revert back to a containment strategy to stop the environmental disaster that began when the Deepwater Horizon oil rig exploded April 20, killing 11 workers. Okay they are OUT OF IDEAS and are bACK TO CONTAINMENT. Let Jindall run the show now then right? CONTAINMENT should be the job of Uncle Sam, let’s go Obama you wanted the big chair now get BP out of the way and CONTAIN. PROTECT THE COAST AND MARSHLANDS! The first step in the “lower marine riser package” would involve cutting off the damaged riser pipe from which the oil is leaking and capping it with a containment valve that is currently resting on the sea floor. That could take as long as a week. Experts called the procedure a risky move because there’s a bend in the damaged riser that may be restricting the flow of oil, and installing a new valve could lead to more leaking. “If they can’t get that valve on, things will get much worse,” said Philip W. Johnson, an engineering professor at the University of Alabama…. May 30, 2010. Tags: BP oil spill, BP oil spill containment, BP Top Kill fails, environment, Gov Jindall, Gulf coast oil spill, Gulf oil spill. Obama Administration. 1 comment. After BP oil has been found in the marshes of the parish, a frustrated Louisiana Parish President, Billy Nungesser, is interviewed after a press conference at Venice Louisiana on May 23. Nungesser, in responding to questions from Bayoubuzz.com said the U.S. Coast Guard Commandant, Thad Allen, could step up take better control of the oil spill operation which has resulted in oil-affected lands. Nungesser criticized Allen, a top BP official and others. He said something stinks, claimed that they were told to hold that permit up for some reason in referring to an emergency permit to build a barrier. Nungesser also said, its criminal, they ought to go to jail. THIS VIDEO IS A MUST SEE. May 25, 2010. Tags: Billy Nungesser, BP oil spill, Economy, environment, Nungesser LA Parish President, Obama BP oil spill, Thad Allen BP oil spill, Venice LA BP Spill presser. Economy, Obama Administration, Politics. Comments off.